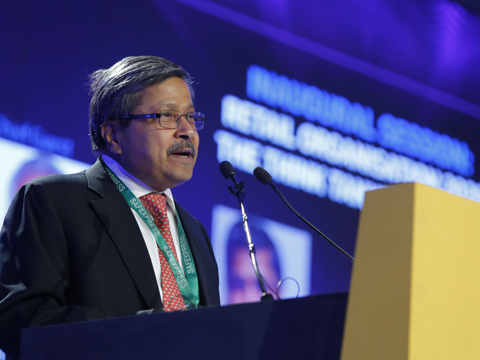 With India allowing 100 per cent FDI in processed food retailing, US retail giant Walmart's India CEO at Indian Retail and eRetail Congress and Awards 2016 said the group will evaluate opportunities in the segment. With India allowing 100 per cent FDI in processed food retailing, US retail giant Walmart’s India CEO at Indian Retail and eRetail Congress and Awards 2016 said the group will evaluate opportunities in the segment while it gears up for the next phase of opening up of new cash and carry stores in the last quarter of next year. Walmart currently operates 21 cash and carry stores under the brand ‘Best Price’ in nine Indian states, with small businesses and retailers as its customers. The company plans to open 50 more stores by year 2020. It had opened its newest store in August last year in Agra. In an exclusive interaction with Retailer media, Krish Iyer, Walmart India Chief Executive discusses Walmart’s interest in selling food products directly to Indian consumers via Omni-channel, opening 50 more stores by year 2020, and future plans. The government announced its intention to allow 100 per cent foreign direct investment (FDI) in 'marketing of food products manufactured and produced in the country' in the recent Budget. What’s your take on that? Allowing 100 per cent FDI in food marketing, which has been announced in the Union Budget is a very progressive step. It will help farmers realise better prices. It will definitely and more surely help improve farm productivity, primarily because of the investments that will be made in the backend by the retailers who come into this space. At the same time, it will help stabilise and reduce the prices of essential commodities. So, I think it’s a fabulous step, and we will continue to await the policy guidelines in this regard. Talk to us about the food sector trends in the modern retail? If you look at it from the retail perspective, I think the penetration of modern retail in the food sector is really small, just probably about 2 per cent. The opportunity for the growth of modern retail in the food sector is immense. The second point is about food safety. I think there is a lot of focus, and rightly so, making sure that both the manufacturers and the retailers are selling food-safe products. And that is commendable. So, the retailers need to invest more and more in the food safety initiatives, in order to ensure that they are regulatory-complaint. More importantly, I think, providing the right products to the customers. You recently launched an entrepreneurship development programme for women-owned businesses with the first batch of over 30 women entrepreneurs, what according to you are three qualities of an entrepreneur in the food space from the retail perspective? As far as food is concerned, the number one thing on the customer’s mind is quality. Rather, I would add that quality is nothing without food safety. So, food safety and quality will be number one. Second, it is about affordability. I think making sure that the prices are reasonable is very important in a country like ours because India’s large population comprises of the middle and the lower middle class.